Immagini Stock - School Lunch Box. 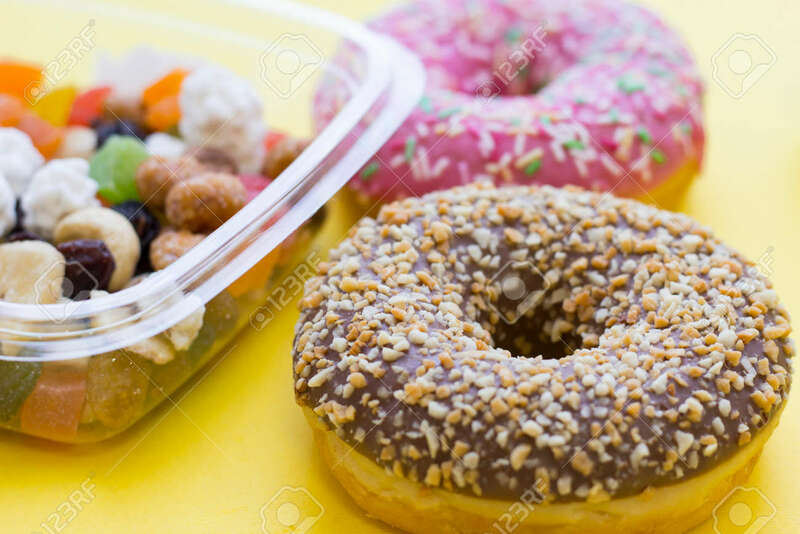 Donats, Candies, Baby Corns, Carrot And Tomatoes In Green Plastic Container. Top View, Yellow Background Image 115543227.